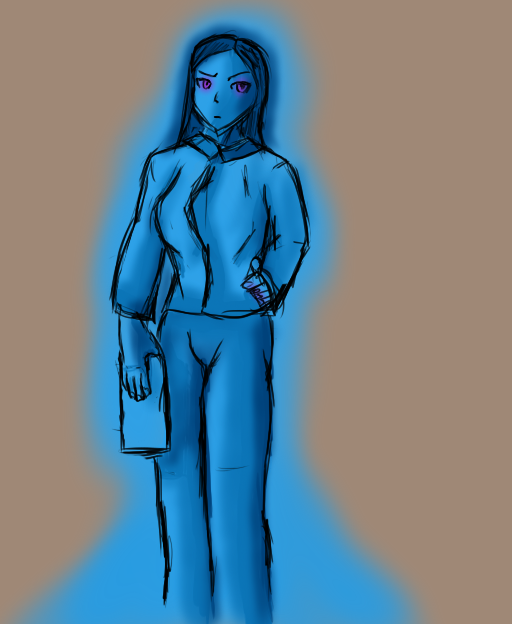 An Artificial Intelligence named "Synthia", created by AaeRohn, and one of my original characters of Cliche. Synthia started off as a small black box containing a 'Virtual Intelligence', but Rohn slowly kept adding to it and modifying it until Synthia grew to a full AI. Aside her dry humor and still developing emotions and behaviors, Synthia has settled on an avatar for herself, taking form once Rohn had created holo-projectors. She rather liked the character Serena from the game Halo Wars, so she made an avatar based on Serena.